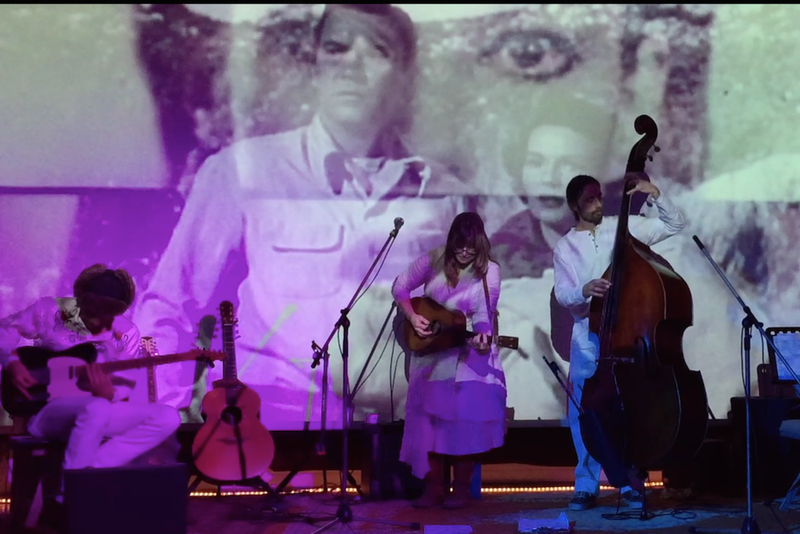 Po^tion — shorthand for "poetry in motion" and indicative of the potency of the brew — is a live music performance series in which Myshkin's music is given context and dimension through the articulation of connective themes, and the projection of her song-tailored film collages. The first installment, Po^tion : Warning Signs, was created in response to the 2016 U.S. election. Using songs from her back catalogue to illustrate each point on a list of warning signs of fascism, Myshkin created film collages from archival footage for each song. The band plays to the film, creating a powerfully immersive live experience. Myshkin performed Warning Signs in California, Prague and Berlin in 2017. See War Years, from the debut performance of Warning Signs here.